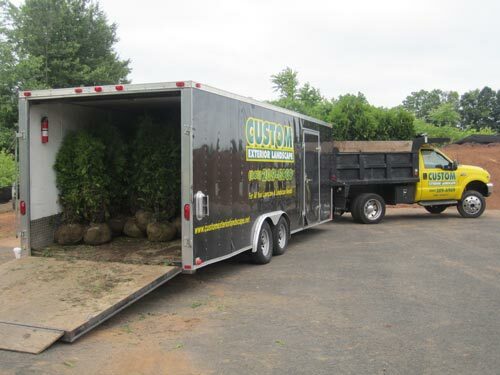 Custom Exterior Landscape is a premiere landscaping company serving all of Connecticut. Through our hard work and dedication, our mission is to build a relationship of trust with our customers to accomplish all their landscape goals and dreams. Not only can we design and install beautiful landscapes, we can maintain every property to achieve its natural beauty. Our experience and knowledge allows us to implement the best and most efficient services with the highest quality for every customer. Custom Exterior Landscape is a full service landscaping company based out of Newington, CT. We have over twelve years of experience in the landscaping field. We continue to build our business with ongoing education of modern practices and state of the art equipment. Our customers are our most important asset. We pride ourselves on the ability to build and maintain a relationship of loyalty and trust with every customer. As a team we can take the steps towards perfecting your outdoor living space. Let us work hard, so you don’t have to. Custom Exterior Landscape is a division of O & C Enterprises, LLC. Custom Exterior Landscape is a full service landscape company based out of Newington, CT. We have over fifteen years of experience in the landscape field.